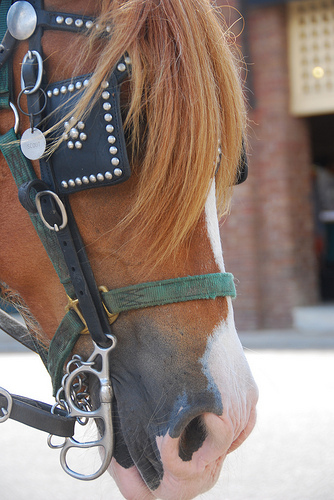 When you own a horse, you need to be prepared to take care of both minor and major wound care. 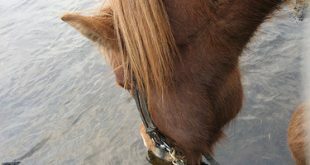 Horses are very active by nature and they can get small or big wounds throughout the day – they might step on sharp objects, get cut with the barb wire along the fences, they might get stuck and be forced to push themselves through a narrow space, causing bruises…so you have to be ready to take care of them when such situations arise. If it is a big puncture wound or an infection then of course you will have to turn to your horse vet. But before the vet arrives, it’s you who will have to clean the wound and give adequate first aid. Then again, the wound might be relatively insignificant and manageable with just first aid. So one of the major requisites of horse care is to have a good first aid kit at hand . 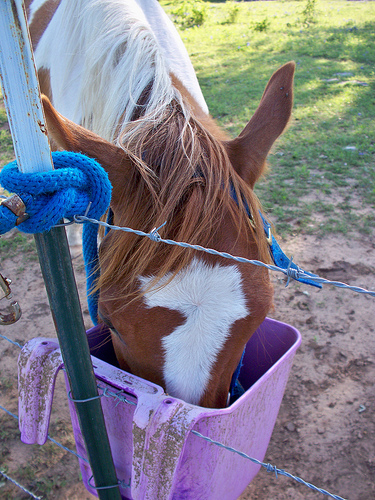 Another is to keep your horse safe from tetanus with regular vaccinations. 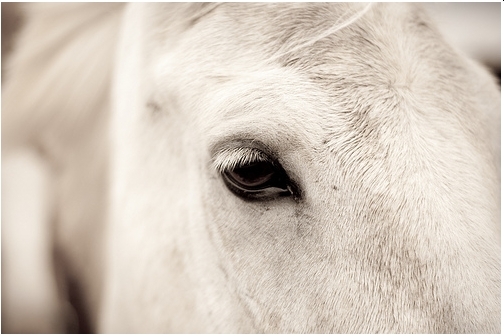 Yet another important aspect of horse care is to know how to treat different kinds of wounds. When you have to deal with open wounds, the first thing to do is to flush the area with sterile saline. In case you don’t have saline water in your first aid kit, just flush the wound with water from a hose – the goal is to wash away the bacteria that might infect the wound and make it life threatening. Tip: If you don’t have regular saline water or a hose nearby, you can use the saline water used to preserve contact lenses. 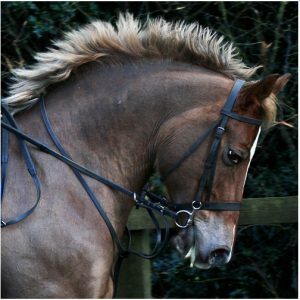 If the puncture wound is anywhere near chest, stomach or lower leg, then it could seriously compromise the health of the horse’s internal organs. In this case you will have to get in touch with the vet ASAP. Flush the wound with sterile saline water if the wound has stopped bleeding. If the wound is still bleeding, press down on it with sterile gauze or a towel. If there is nothing inside the puncture then try to gauge the depth of the puncture with a Q-tip. If the horse shows signs of distress, leave it for the vet and just clean the wound and bandage the area. 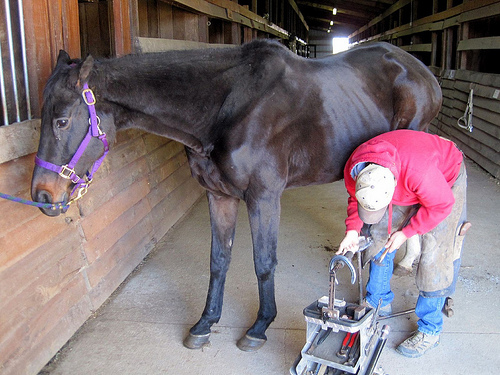 Sometimes, the object puncturing the horse’s flesh can leave damaged skin and flesh, don’t try to knit the flesh together – that’s the vet’s job –you can at best clean and bandage the wound. If something from what caused the puncture is stuck inside, don’t even try to flush the wound – it might lodge the foreign body deeper still. Wait for the vet. Tip: When you need to stem the bleeding, apply pressure on the wound and wrap the bandage tightly. 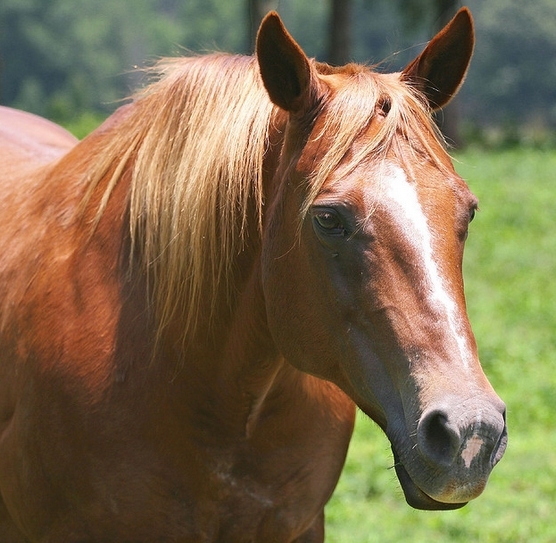 The horse has abrasions when it takes a fall, skids or bumps against something. Most abrasions are easy to handle, but if there’s a puncture and you’re not sure what to do, wait for the vet. In other cases, you can clean the wound by flushing it with sterile saline and then dab on some diluted betadine. This will kill any bacteria that might infect the wound. 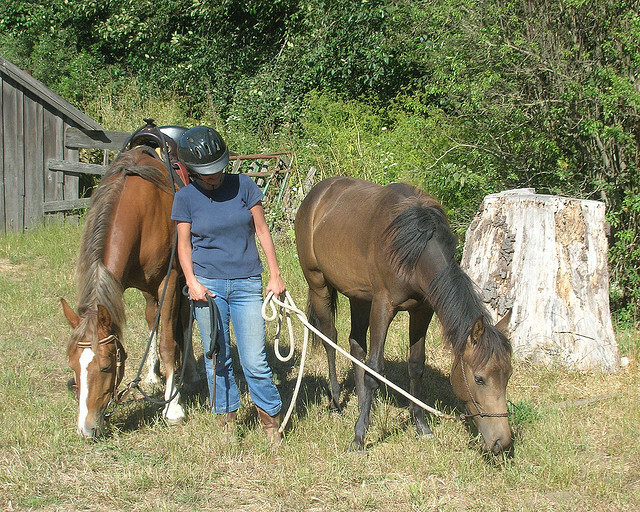 Keep your horse off its regular routine till the abrasion heals completely. Meanwhile, you can keep the wound clean and apply any vitamin E ointment to keep off the flies. You can also get your vet to give prescription anti-inflammatory drugs for the pain. Tip: The skin takes time to heal and the more you rub it, the further aggravated the wound becomes. So be gentle. When it comes to lacerations, antibiotics are your best bet, but first consult the vet to know the effects of antibiotics on your horse’s health. Usually, vets do not encourage taking antibiotics. See if any ligament or tendon is affected, and place a wrap on the other leg in case the horse favors his other limbs to the injured one. If the laceration involves skin hanging from the wound, get the vet to stitch it up. But till your vet gets there, you can clean the wound and flush it with sterile saline. This will reduce the chance of infection. You might have to change the bandage regularly. But your vet will give you instructions for that. For most wounds and abrasions, you’re enough to handle the first aid, but it is always better to take the vet’s opinion. However, now that you know about major and minor wound care, you should feel comforted knowing you can help your horse when he is hurt. Previous Know All About Saddle Blanket Before You Buy The Best!